The L.A. Times reports that Walmart and Target will be creating a bargain basement for some of the newest and most popular DVD titles coming to market this holiday season. You won’t find the deal in stores, as it’s strictly online… for now. Depending on how sales go online this gift-giving time of year, one would expect the retail giants to then make a push on the studios to further discount their titles in-store… and thus, standard-definition DVD continues its downward spiral to the cut-out bins where VHS and Beta once resided at your local Circuit City (ah, nostalgia). 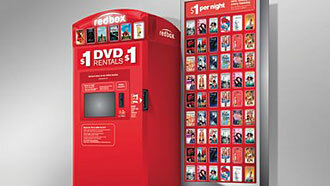 Blu-ray, thus far, is left out of the equation; however, given the high-definition format’s continued sluggish growth as the heir apparent to standard-def DVD, you could make the reasonable assumption that price cuts might also start popping up on newer, recently released titles for Blu-ray after the holidays. Don’t buy a lunch with that info… just keep it handy ’til late January rolls around, the recession continues and things get reaaaaaal sluggish for major retailers. 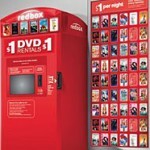 As the Time’s Ben Fritz says… you can thank Redbox’s (and Netflix’s) revenue growth for all the price slashing.